Emergency Room or Emergency Dentist? If you have a toothache, then you know there is nothing quite like it. At least with other medical problems, you can take something for the pain and it goes away. With a toothache, it does not work that way. Yes, you can mask the pain for a bit, but eventually, the pain relievers you took will no longer cut it. You need to have the proper dental procedure performed on your tooth to eliminate the pain. Take a moment to look over the Boise emergency dental office listings below. You will be able to identify any offices that are open around the clock and any that are open later than the standard 5:00 pm. Don’t wait another moment and call one of the emergency dentists in Boise today, or call our 100% free hotline and let our staff find the best emergency dentist for you. Emergency Dentists USA was a lifesaver over a holiday weekend when I was experiencing so much pain! I found out I had an emergency toothache and needed to find a dentist quickly. Luckily I called them and their staff was patient and kind and able to find a dentist to help me out right away. Tooth pain is not something that will go away on its own, unfortunately. This means that if you do not receive the care you need, you may be left to deal with the awful pain. Fortunately, with the emergency dental clinics available in Boise, you will not have to suffer through the pain for very long. There are after hours dental offices in Boise that see patients up until 8:00 pm. This means that you can do everything you need to throughout the day and then get your dental problem corrected on the way home. An after-hours’ clinic is best for patients who have a mild to moderate dental need. After hour clinics make it easy for you to receive the care you need when you need. You will also find that many of the Boise after hour dental clinics are also open on the weekend too. If you have a serious toothache, the last thing you want to do right now is sit down in front of the computer and try to locate a Boise emergency dentist only to come up without a dental office to call. Before you simply throw in the towel, look at the list of emergency dentists in Boise below. You will be able to identify each offices’ hours, location, and more. Once you find a dental office you want to call, simply dial the number, and schedule your appointment to be seen. Description: One of the best things about an emergency dentist referral hotline is that once you decide to make that call, you know that help is literally on the way. 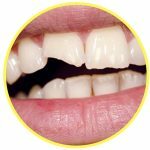 If you are struck with a cracked tooth or broken crown, make the choice to use our service and you’ll quickly be on your way to saying goodbye to throbbing pain. 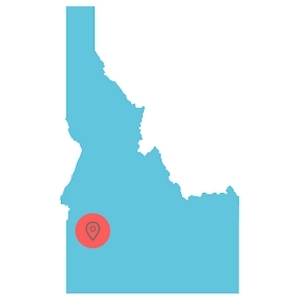 Easily find Idaho emergency dentists with our service. Description: The staff at Willow Tree Dental is open on Saturdays from 8 AM until 2 PM, as they fully understand the difficulty of having a busy life. You may have a need for something like an extraction or root canal therapy, or just a check-up: the staff here is waiting for you and will treat you with professionalism and care. Description: The staff at Harrison Dental stays open until 7 PM on Mondays and Wednesdays so you can drop in for an appointment after work. You can get immediate attention for anything ranging from a root canal need or urgent pain inquiry here. Come visit the staff soon, and you’ll see that they can treat you with the best in professionalism. Description: You may be bothered by pain in any of your teeth, or just have the need for a standard check-up, the staff at Summit Dental Group is here for you regardless. Known by many around Boise to be competent, caring, and compassionate, they have a reputation for treating patients with the utmost in respect. Description: The staff at Modern Dental is here for you no matter what the issue: you may have an all-out emergency, or just need a standard pre-school year checkup for your kids. They stay open until 6 PM on Tuesday through Thursday making them a great choice for an after-hours dentist. Don’t let worries about whether or not you will rid yourself of the pain take over your week, and see the staff at Modern Dental today. When you visit the local Boise emergency dentist, You should make sure that you have copies of all of your paperwork, insurance information, and health records. It is important to provide the office staff with your insurance card immediately, so they can properly bill you and the insurance. You will need to fill out paperwork when you arrive, so it is best to show up about 15 minutes early, this way, you do not miss your appointment time due to paperwork. The paperwork is simple and will ask you for basic information about your past dental and medical health. You should verify that the dental office takes your insurance and ask to receive a quote for service. You should also ask what types of payments are accepted in the office. If you are allergic to any type of medication, you should let the office staff and dentist know right away, so they can ensure your health the entire time. Toothaches are bothersome and they can cause you to feel like you will never get the relief you want. Most toothaches are caused from a type of dental emergency whether it be gum disease, tooth decay, or a chipped tooth. There are different dental problems that can quickly turn into an emergency situation, whether it was one originally or not. If you think you may have an emergency, it is best to have your teeth looked at by a trained professional in Boise as soon as possible. If you have broken your tooth, the first thing that you need to do is recover the broken pieces and then rinse your mouth out with warm water. If the site is bleeding, you need to take a piece of moist gauze and apply pressure to the site for 15 minutes. If there is any swelling, you should apply a cold compress to the exterior of your cheek where the injury occurred. If you are in pain, you can take an over-the-counter pain reliever such as Tylenol. If your tooth broke, it is important that you call your local emergency dentist in Boise to receive care. If your tooth has been knocked out, you should recover it as quickly as possible. Do not touch the roots of the tooth and only hold it by the crown. If the tooth is dirty, you can rinse it off, but do not remove the tissues from the tooth. You should place the tooth back into the socket, but do not force it as you may hurt yourself. If the tooth will not go back into your mouth, place it in a cup of milk. Call your local Boise emergency dentist right away. Re-implantation is usually successful when done in the first hour or two. Tooth trauma can be caused from all types of accidents. For example, you may be involved in a car accident and you hit your mouth on the dashboard, which causes you to have a tooth knocked out. 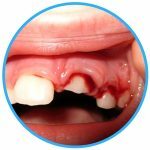 It is important, no matter the tooth trauma or accident, that you rinse your mouth out with warm water and stop any bleeding that is occurring with a piece of gauze. If you have been involved in an accident that leads to tooth trauma, it is important that you call a Boise emergency dentist immediately or visit a local ER. An emergency extraction may be one of the procedures recommended to you when you visit a Boise emergency dentist. Dentists do not want to extract your teeth and will work to save them as much as they can. If you have been told that you need to have an extraction performed, it is important that you have it done in a timely manner or else the situation may progress and get worse. Delayed care can lead to some serious complications in the future for you. If you have a dental emergency arise, you may start to head towards your local Boise emergency room. While this seems like the logical place to go, they will not be able to provide you with any type of dental care. Many patients turn to the ER, but the physicians on staff are trained to handle medical emergencies and not dental problems. The most they can do for you is look over the tooth and prescribe medication until you can see your primary general dentist. You would be better off visiting a Boise emergency dental clinic. Here the dentist is prepared to perform all dental procedures to alleviate the pain you feel. You will find that you can receive immediate care that solves the problem and it will be less costly than visiting the ER. Of course, there are times when you should go to the ER and these times include when you suffer head trauma, break your jaw, or you have been involved in an accident. If you are in pain, then you know it is not any fun and it can cause you to suffer greatly. From missed social events down to time off work, it can be quite frustrating. You never want to wait to handle a dental emergency as it can go from bad to worse in no time at all, and leave you with future dental issues to handle. If you have any type of tooth problem, visit a Boise emergency dentist right away. Disclaimer: Emergency Dentists USA is a portal that has been designed to provide you with information only. The information on this site should not be used to replace the advice of a medical professional. If you cannot reach a Boise emergency dentist, you should call 911 or head to your local ER immediately. We do recommend that you take some time to check into your local Boise dental chapter to verify any credentials and licenses of new dentists. You can also check the Idaho Board of Dentistry and the State of Idaho Professional Licenses check.